Follow us on Twitter for important industry news and latest updates on this trending topic. We publish and share video appearances and presentations! We’ve heard a lot recently about the lack of retirement savings for aging Americans, income inequality, and limited growth opportunities for workers. A recent Harvard study showed that about half of U.S. workers don’t have retirement accounts and most middle – class retirees will outlive their savings. Social mobility has not improved, according to the study, as it’s no easier to climb the income ladder now than it was 20 years ago. Employee ownership can be part of the solution. Over 2,000 companies across the United States are private businesses owned by employees through ESOPs, a type of defined contribution retirement plan. Because the vast majority of these companies are majority or wholly employee – owned, every worker has a vested interest in making sure that the quality of work is high. Everyone rows in the same direction because each employee has a stake in the company’s success. A recent new study from Ernst and Young (EY) confirms that making employee stock ownership plans more widely accessible is a viable way of promoting both an increased ownership stake for workers and greater retirement security for more Americans of average means. The EY study found that the total return for S corporation ESOP participants over the last decade was 11.5 percent, or about 62 percent higher than the S&P 500 Total Returns Index’s growth rate of 7.1 percent over the same period. Net assets in these accounts increased over 300 percent over the time span, and distributions to participants totaled nearly $30 billion. ownership stake in an S corporation. Almost 20 years ago, Congress created the S corporation ESOP structure to encourage and expand retirement savings, giving more workers in private companies the chance to own their companies through an ESOP, a qualified rtirement savings program. S corporation ESOPs are a great example of something Congress got right, as they are doing exactly what the legislation intended when it established them: generating economic activity, creating jobs, and promoting retirement security. By all available measures, these companies have been a big success story in recent years, even through a period when the economy was characterized by slow growth, poor job creation, and widespread worker insecurity. When we visit employee – owned companies, we see first – hand that being an employee – owner in a company means having a stable job while building a secure future. The S corporation ESOP structure has been effective at improving the bottom line of countless companies, creating a culture of ownership and responsibility, and providing meaningful retirement savings to the employee – owners. It’s truly the American Dream at work. Multi-Author Blog (MAB) featuring relevant articles by leading scholars and experts in the field of Inclusive Capitalism and Economic Democracy. THE 3rd WAY will show you and your family the powerful secrets the top 1% know regarding how wealth is best obtained in the 21st century. 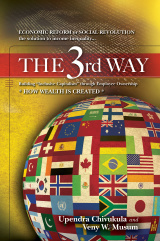 BUY 'THE 3rd WAY' ON AMAZON.COM NOW! 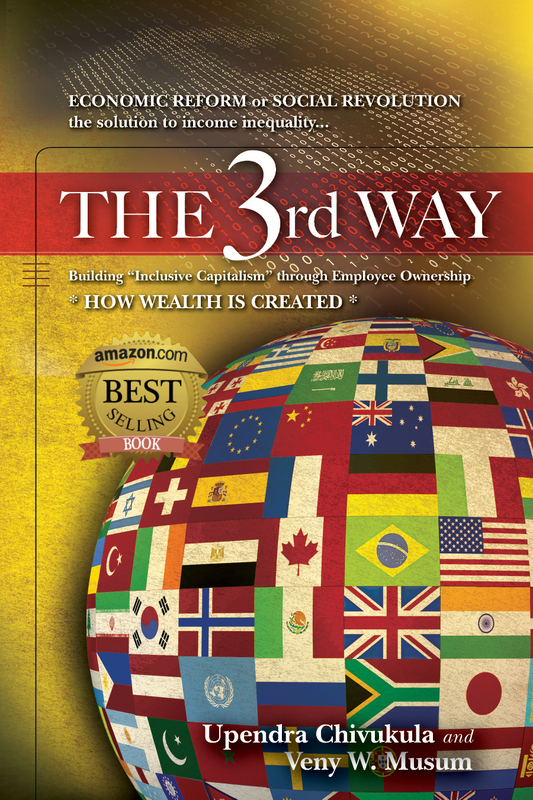 THE 3rd WAY is sold on Amazon.com and Co-authored by Veny W. Musum and Upendra Chivukula. Also ask for it at your local bookstore and library. THE 3rd WAY will show you and your family the powerful secrets the top 1% know regarding how wealth is best obtained in the 21st century. It offers a bipartisan exploration of employee ownership, its history, how ESOPs work, and the barriers Americans must demand the government remove for the system to succeed nationally. Thousands of small closely-held business and large, publically-traded corporations use employee stock ownership plans successfully, benefitting millions of employees. It's time to expand inclusive capitalism and economic democracy on an aggressive national and international scale for the benefit of everyone.